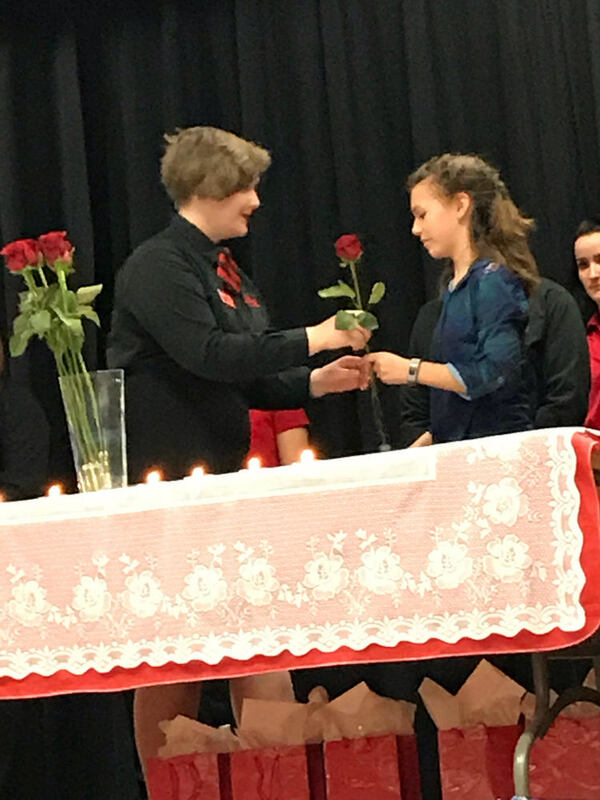 Members of FCCLA (Family, Career and Community Leaders of America) from Altoona-Midway High School hosted STAR events and officer elections for the J-West District earlier this month. Approximately 95 students from nine other district high schools attended the activities, with some competing in STAR (Students Taking Action for Recognition) events, and others participating as voting delegates for the J-West District Officer Elections. Altoona-Midway High School had two individuals compete in STAR events. Kylee Wade received a silver in Fashion Construction and will compete at the State FCCLA in April. She used a pattern and sewed a dress with solid underlay and a rose see-through lace over. Tiffany Kuhn competed in Recycle Redesign and took second place. She received a silver for making a desk organizer out of newspapers. Alyssa Relph and Sophia Willard competed in Promote and Publicize FCCLA. They received a silver and will be competing at State FCCLA. Kuhn also ran for district officer and was elected as the vice president of records for District J-West for the 2018-19 school year. Cathy Caylor, FCCLA chapter sponsor for Altoona-Midway, was also selected to be the District Advisor for J-West next year. Caylor was very happy with how her chapter hosted a very successful event. “I am very proud of our FCCLA members. They stepped up and hosted a great event for the J-West District,” Caylor said. “The members represented Altoona-Midway well. We received several great compliments about our school and our members. Caylor noted that all of her chapter members were involved in hosting the district event.